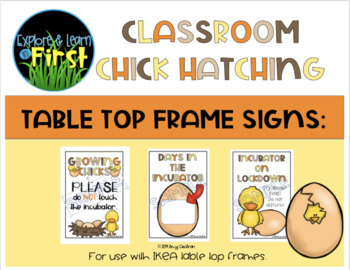 Are you hatching chicks in your classroom this spring? 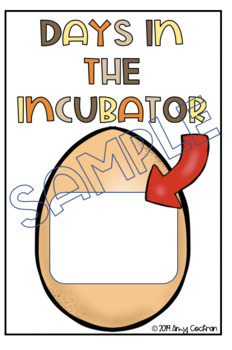 This is a set of six printable signs that will fit the Ikea 4x6 table top frames. 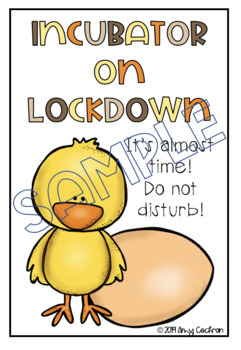 A perfect addition to your classroom hatching area. 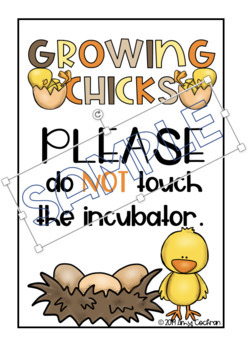 Remind students not to touch and what day of the incubation cycle you are on. Simply print, cut, and slide in frames.